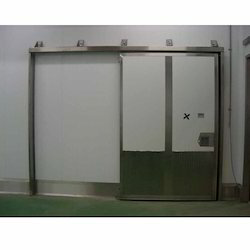 Cold Storage Doors are the latest features that are meeting the requirements for cold storage industries. They are manufactured with latest technology, design and materials. The interesting feature is they are being made with a framework of glass fibers which are thermally neutral, casings of plastic polymers and a core made of CFC-free polyurethane. This structure provides a durable and strong storage that can last for years together. Our clients can avail from us a wide range of Chiller Door, as we are engaged in offering these products in small as well as in huge bulk. This Chiller Door is widely used in domestic applications as it is economical and needs less space for placing. Moreover, we offer our range in safe packing and ensure timely delivery without any damage. 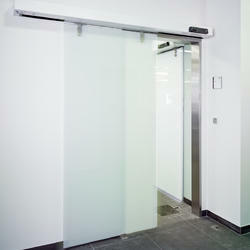 Sliding Door are the basic models with a restricted area which cannot accommodate swinging doors. They are usually designed for manual purposes and are moreover convenient and easier for operating. They are made with a framework of PVC steel sheets, doors of polyurethane and gaskets of EDPM rubber. In some cases aluminum and stainless steel are also used instead of PVC steels sheets. The basic size of these doors is 2.1 m x 1.6 m. The thickness of the insulation varies according to the cold storage needs like 69 mm, 100 mm or 130 mm. We market Neptune doors. 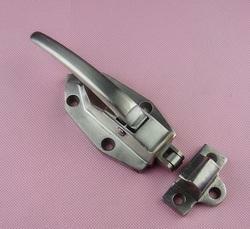 Hinged Door are very light-weighted and are firm. They are very easy to maintain and clean. They are made with a framework of thermally insulated glass fibers, aluminum, PVC steel sheets or stainless steel. They are available in different fiber colors. 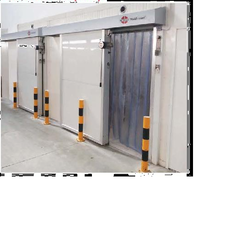 The basic size of these doors is 2.1 m x 1.2 m and the thickness varies according to the cold storage needs like 65 mm, 100 mm or 130 mm. We market Neptune doors. Storages Door hinges to respectable clients. 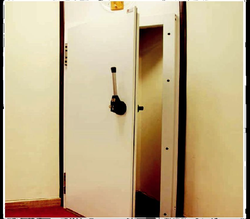 The offered range of Cold Room/Storages door hinges CS-1450 is made utilizing premium grade raw material and innovative technology in complete adherence with the industry laid norms and standards. Moreover, the offered range of Cold Room/Storages door hinges CS-1450 is suitably checked on different characteristics to ensure that error-free products are delivered at customers' premises. Looking for Cold Storage Doors ?